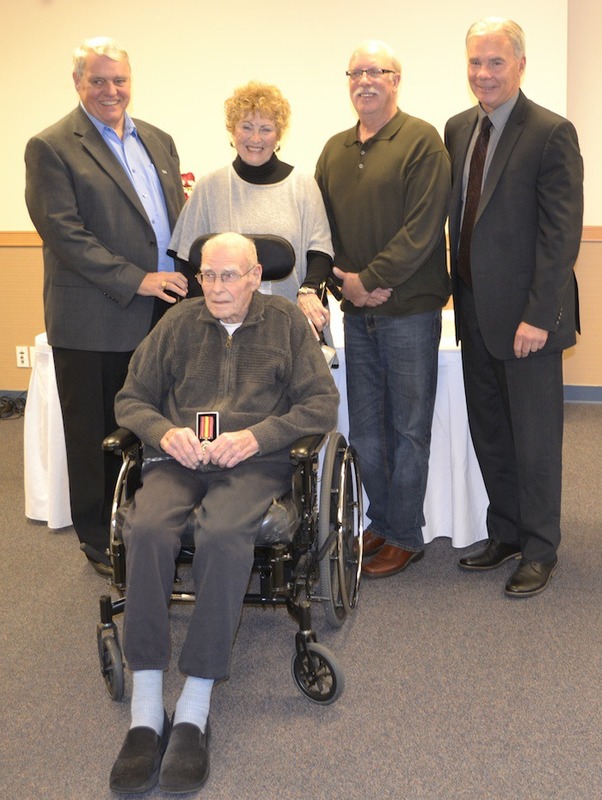 Ken David and Gordon Huff receive municipal long service medals. Delta Mayor Lois Jackson and Delta Council have presented retired Volunteer Fire Chiefs Gordon Huff and Ken Davie with the Canadian Volunteer Fire Services Association Municipal Long Service Medal. The medal honours volunteer firefighters or firefighters that provide at least 30 years of service to their communities without payment of regular wages or as a non-career firefighter. Huff started his tenure as a volunteer firefighter in 1953. Seven years later, he became the first of two fire chiefs at Volunteer Fire Hall #4 in East Delta. In 1988, Chief Huff retired from the fire department after serving 35 years – the longest serving fire chief in Delta’s history. Davie started his tenure in 1964 and took over from Fire Chief Huff in 1988. He led the volunteer department for the next 22 years until it was de-commissioned in 2010.